Villas of ”Päijänteen Helmi”, especially Helmi 1and Helmi 3 are perfect choices for companies to organize meetings and recreation events. We will gladly help you with any arrangement requirements your event may need. 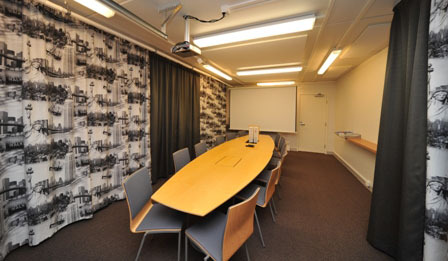 In Helmi I and Helmi 3 there is an internet connection, video projector, silver screen, flipchart, and dvd-player. Helmi I and Helmi 3 are suitable especially for group meetings and for small events. For your meeting or event you can easily get a menu of your taste from our catering service. Our luxury villa´s sauna is made for more than ten people, with a Hot-tub on the back porch (for seven people) you can feel like in a spa. Also own pier, rowing boat and top of the line barbeque grill.